NEW CONSTRUCTION!!! 5 BRs/3BAs + loft open-concept home in the desirable Fountainbrook community. The Bentgrass is an efficient plan that invites you to come in from the moment you drive up and see the craftsman-style exterior that says "Welcome home! 5" luxury vinyl plank flooring meets you at the front door and beckons you to explore all that this popular split layout floor plan offers. The kitchen is a chef's delight and includes an island, 36 antique white staggered Shaker cabinetry, recessed lights, granite countertops, and stainless steel appliances. The spacious master suite includes a trey ceiling, dual sinks with granite vanity tops, a separate garden tub and shower, and a 2 walk-in-closets. This home also includes brushed nickel light fixtures, two tone paint, and extensive closet space throughout. Interested in a GreenSmart home? Live Green. Live Smart. 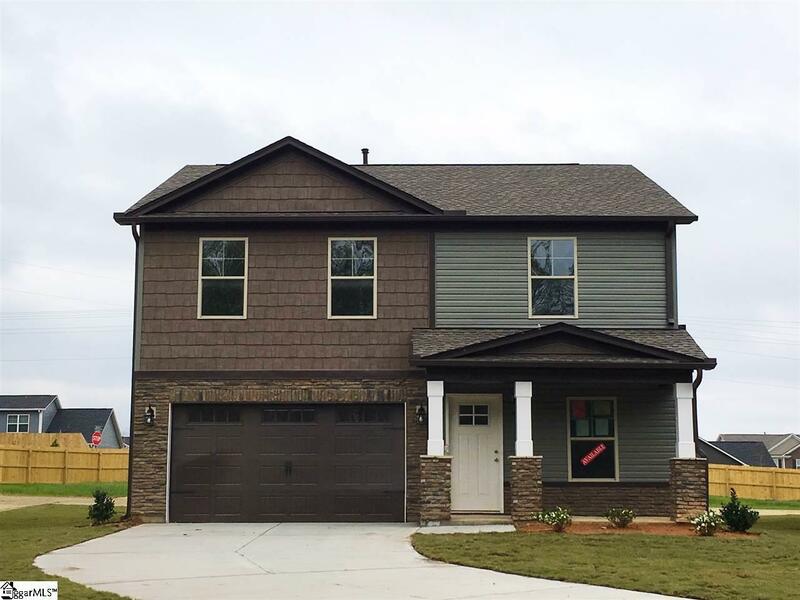 This home includes a smart phone docking system connected to two built-in speakers, Honeywell's newly released Lyric home automation system, tankless hot water heater, radiant barrier roof sheathing, and an oversized partially fenced yard. Fountainbrook qualifies for 100% USDA financing and is just a 5 minute drive to grocery/drug stores, restaurants, urgent care facilities, shopping, dining, and the IMAX movie theatre. Quick and easy access to I-385 makes Downtown Greenville, GSP airport, the mountains, nearby lakes, and SC, NC, & GA beaches just a short drive away.